What If John McCain Had Won the White House? Call it Obama’s Wonderful Life. Ex-Bush aide Matt Latimer imagines what would have happened if the Republican ticket had taken the White House in 2008—and where the world would be now. It is almost Christmas. A morose Barack Obama, believing his presidency has no meaning, wanders the White House. He looks again at the crumpled Nov. 14th Washington Post op-ed that he keeps in his pocket and just cannot throw away. The article, penned by former Clinton aides, urges Obama not to seek reelection in 2012. They make this appeal not so that Hillary can run in his place—selfish motivations are notoriously taboo in Clintonworld—but strictly out of a sincere belief that a failed one-term presidency is in Obama's best interest. Just then a figure materializes before him. “I am your guardian angel,” the voice says. “You have done much good for those around you. Tonight I am going to show you what the world would be like without you." A television materializes before them, and MSNBC’s Keith Olbermann appears on screen. “President John McCain is pledging to move quickly to fill the vacancy left by Sarah Palin's stunning announcement last week that she would not complete her term as vice president of the United States. Denying widespread reports that she and the president are no longer on speaking terms, Vice President Palin, who communicates with the press only through Twitter, tweeted that the overwhelming press scrutiny “from the lamestream media” and actress Tina Fey were making it “darn tootin' impossible to do this here job.” Already reports are surfacing that Mrs. Palin has signed with a Washington super-agent for a two-part book deal. She is also making preliminary steps to seek a job that she feels will have less press scrutiny: the presidency of the United States. “Meanwhile Republicans are urging the Democratic-controlled Senate to promptly confirm McCain's chosen replacement for Palin: Guam Governor Felix Camacho, whom the president met briefly at a White House reception last year. Mr. Camacho, whose name the president initially mispronounced, is a newcomer on the national political scene but is highly touted by Weekly Standard editor Bill Kristol. “In other White House news, McCain aides are working feverishly to explain the president's latest reversal, this time on support for an extension of Bush-era tax cuts. McCain, who earlier this month said that the tax cuts he opposed in 2000 were essential for a struggling economy, puzzled reporters yesterday by saying he would not support their extension after all and in fact had never supported it. The tax cut issue is but the latest McCain flip-flop. Last year the Arizonan, whose approval rating has had a slight uptick, to 23 percent, denied that he had ever supported Democratic legislation on health-care reform, global warming, and immigration, calling photographic evidence of his collaborations with leading Senate Democrats 'an obvious and easily proven smear job by the far right, far left, or both.' "
“White House spokesperson Dana Perino, asked to comment on the flip-flops that have earned McCain the sobriquet ‘President Mood Ring,’ told reporters that, 'Despite the naysayers and cut and run crowd, we are proud that there has not been another terrorist attack on our soil.' Republican National Committee Chairman Lindsey Graham also invoked 9/11 and praised McCain's inconsistencies as 'another sign that the Mac is back.' "
“More WikiLeaks controversy today after top-secret documents revealed that U.S. Secretary of State Joe the Plumber once stunned Saudi Arabia’s Prince Bandar by telling him during a meeting that quote, ‘I learned so much about your country from watching 'M*A*S*H .’ Secretary Plumber responded to the story by saying he misspoke. He actually had been thinking of Hogan’s Heroes . “President John McCain is pledging to move quickly to fill the vacancy left by Sarah Palin's stunning announcement last week that she would not complete her term as vice president of the United States. “Also on the foreign front, President McCain is preparing to send another so-called surge of U.S. forces into Iraq in response to the Iraqi parliament’s failure to include ‘In God we Trust’ on all Iraqi currency. ‘They’re going to do it our way whether they like it or not,’ McCain vowed. ‘Otherwise the terrorists win.’ "
“On Capitol Hill, top Republicans announced that they have agreed to rent out half of their office space to the overcrowded Democrat majority in what the GOP calls a cost-cutting effort. ‘We don't need all the space,’ a Republican aide told Politico’s Mike Allen. ‘The GOP is down to Mitch McConnell, Jon Kyl, and John Cornyn. McCain has screwed up so much that all they do now is turn off the lights at night.’"
“In a sign of his party’s continued unpopularity, former President George W. Bush's publisher today announced another delay in the release of his memoir, tentatively titled, It Was Cheney's Fault . Democrats were quick to speculate that the Republican Party's deep unpopularity over management of the economy— for which polls suggest Bush and McCain are exclusively to blame— has made the Bush book "unsellable." The Democrats also cited the fracas last week, when a group of anti-Republican protesters surrounded a car containing the former president's parents. A photo of a startled Barbara and George H.W. Bush inside the back of their limo has made international headlines. “Turning to the entertainment front, representatives for the ABC hit Dancing With the Stars are denying reports by right-wing bloggers that Hillary Clinton's second place showing is the result of widespread fraud. The allegations turned tragic after a Cleveland man set himself on fire after Mrs. Clinton, performing a break dance with partner Mark Ballas, remained on the program while a tap-dancing Kanye West was eliminated. Also remarking on Mrs. Clinton's performance is her husband. ‘Anyone who knows me knows that the last thing in the world I'd want to do right now is take all the attention away from Hillary,’ former President Bill Clinton said today. ‘But I am so proud that she's using all of my moves I taught her. I don't want to lobby to be on that program next— preferably partnered with Karina Smirnoff—but I've done the fox trot, the tango, the cabbage patch, alone, in a duo, in groups, in pajamas, you name it. If I know anything, it's how to stay limber.’ "
“Mrs. Clinton is said to have been disappointed to have lost the final round of the program to comedian Don Rickles. Though Mrs. Clinton by all accounts demonstrated dexterity, superior dancing experience, and doggedness, Mr. Rickles won hearts by appearing to be the more likable. ‘That’s the second time this has happened to me,’ Mrs. Clinton said." “And finally, the race for 2012 seems to be taking shape. The latest NBC News/Wall Street Journal poll shows Senator Barack Obama, who narrowly lost to McCain in 2008, as the clear frontrunner, leading McCain in a hypothetical matchup by 15 points. Candidate Obama, who promises to change the tone in Washington, has pledged among his priorities to ram through an unpopular, not well explained, health-care law, have a long, drawn-out fight over gays in the military, reverse himself on tax relief, and let Bill Clinton step in for him at press conferences whenever he's in a jam." “Sources stressing they have no connection to New York Senator Chuck Schumer told The New York Times today that the senior senator would reluctantly take the job if asked. ‘That's the kind of selfless, unassuming guy that I— er— Charles Schumer is,’ the source said." The television screen fades away and President Obama is again alone with his guardian angel. “I don't understand why you showed me this," Obama says. "It looks like the Democrats would have been much better off without me, well except for Hillary." “You're right,” a smiling Obama replies. “My presidency is helping some people." "Yes, it is. Because of you, every time a bell rings another Republican is effortlessly winning political office, whether he deserves it or not." 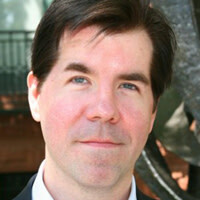 Matt Latimer is the author of The New York Times bestseller, Speech-less: Tales of a White House Survivor. He was deputy director of speechwriting for George W. Bush and chief speechwriter for Donald Rumsfeld.